The ADA recommends that most people have dental checkups at least twice a year. Some people with gum disease, a predisposition towards cavities or certain health conditions may need more frequent cleanings. Dental checkups include not just a deep cleaning that removes all plaque and tartar buildup, which could harm your dental health, but also a comprehensive exam that allows our dentist an opportunity to check for problems you may not have noticed, look for early signs of decay and develop a treatment plan for any oral health conditions you have. At your dental checkup, our dentist or dental hygienist will perform an initial exam before cleaning and polishing your teeth. Even if you brush your teeth and floss regularly, you may still have some plaque and tartar buildup that could harbor dangerous bacteria. We use special tools to remove this buildup and deep clean above and below the gumline. We then polish your teeth to remove superficial stains and deposits. We will check for signs of oral cancer, gum disease and other serious dental health conditions that could have an adverse effect on your dental or overall health. If there have been any changes in your health status, medications or pregnancy status, letting us know will help us better treat you. 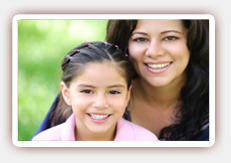 We may take dental X-rays to check your restorations and look for cavities between teeth. Finally, we will offer treatment recommendations that can help you improve your dental health, manage any dental conditions you have or reduce the risk of future problems. Contact us today to schedule your next checkup with Dr. Ghasri, dentist in West Hollywood.